Looking for a quick, inexpensive gift? 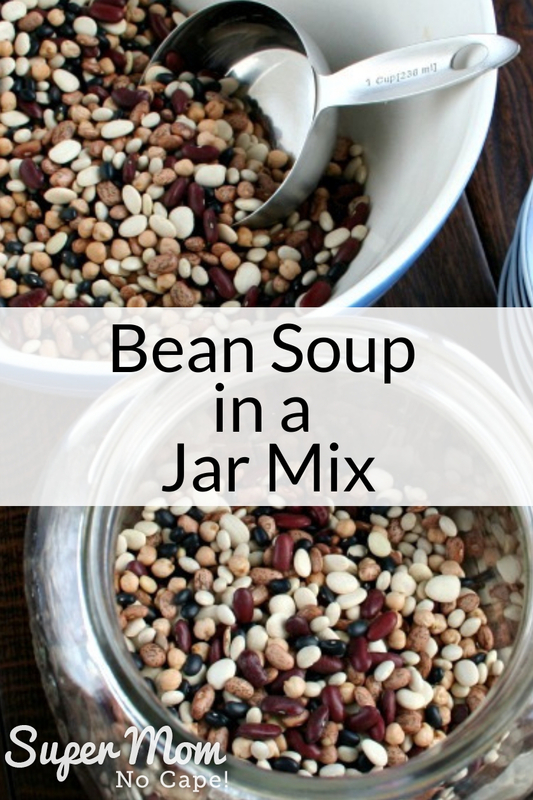 This Bean Soup in a Jar Mix is a pantry staple that makes a great gift for friends, neighbors and extended family who you want to give a small gift to but don’t want or can’t afford to spend a lot of money. It’s also an awesome teacher gift! Teachers receive so many gifts at various times of the year and while I’m sure the gifts are all heart-felt, I often wonder where they store all the things they’ve been given over the years. When our kids were in school, I always tried to give gifts that were consumable and wouldn’t sit unused on a shelf somewhere or hidden away in a cupboard. 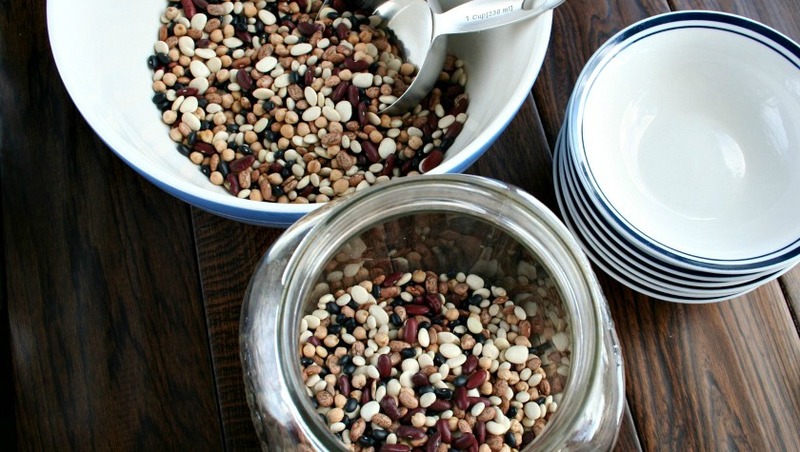 That won’t be a problem when you give them this Bean Soup in a Jar Mix! 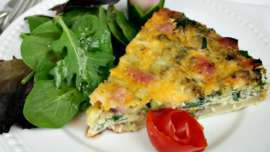 The ingredients may already be in your pantry and if not, can be picked up on your next trip to the grocery or bulk food store. 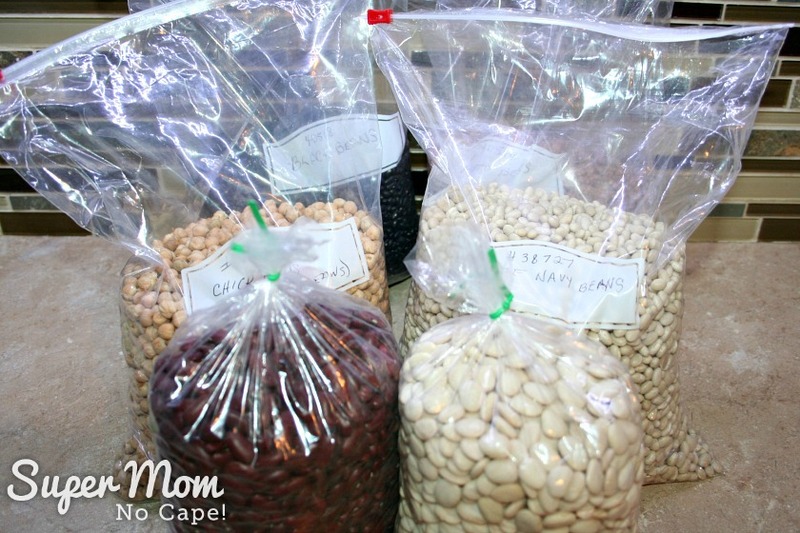 When I’m making up this mix for our own use and to give as gifts, I purchase large quantities of each bean in the mix. 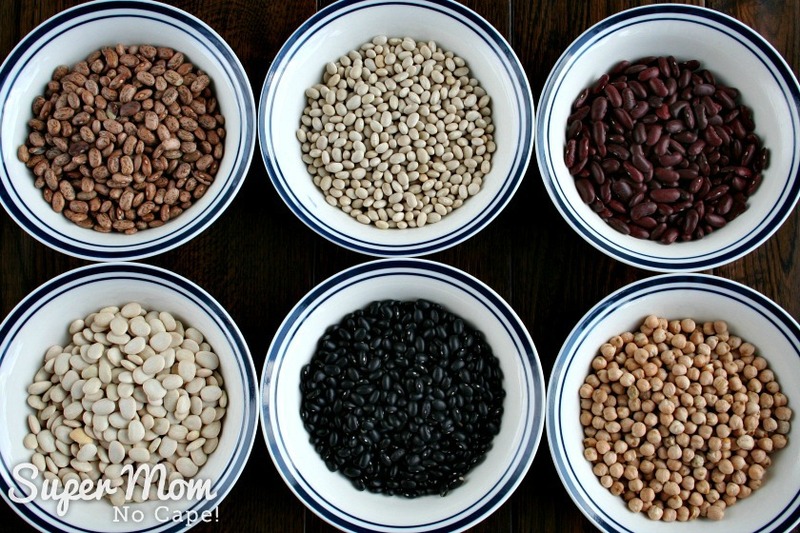 In the photo below each bowl has one cup each of dried beans. 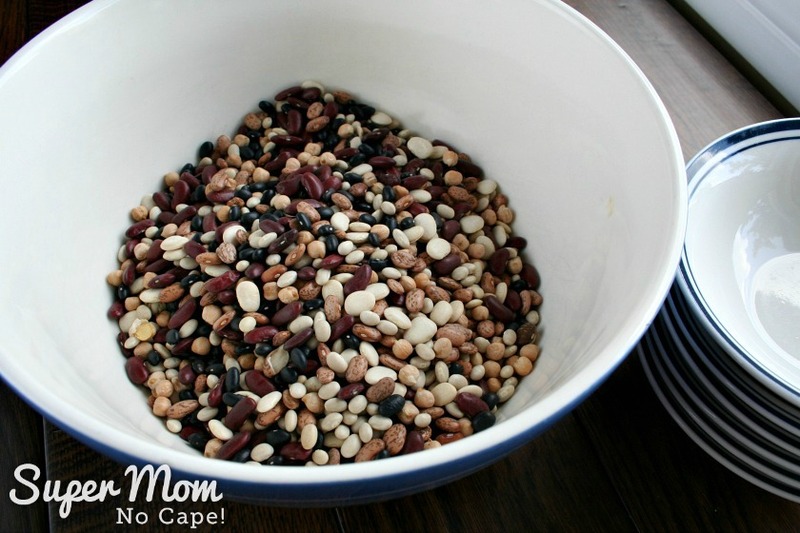 Dump all the beans into a big bowl and mix thoroughly. 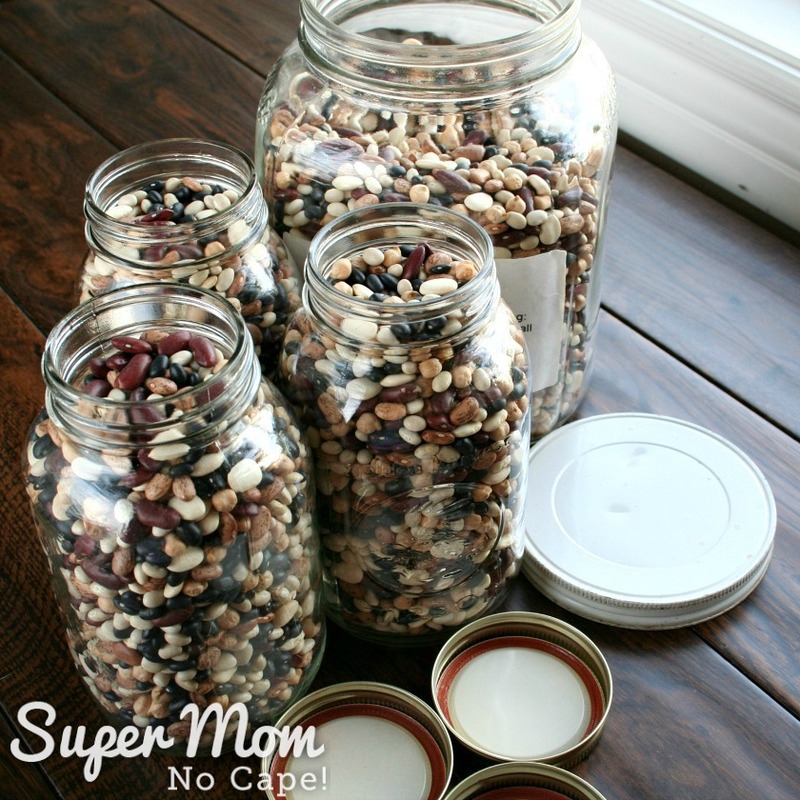 A double batch or 2 cups of each of the dried beans yields 3 quart jars plus fills an upcycled 1/2 gallon jar 3/4 full. The 1/2 gallon jar is for our own person use. 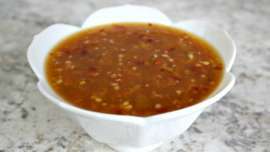 I like to have it and other dried ingredients on hand for making soups, stews and chilis. 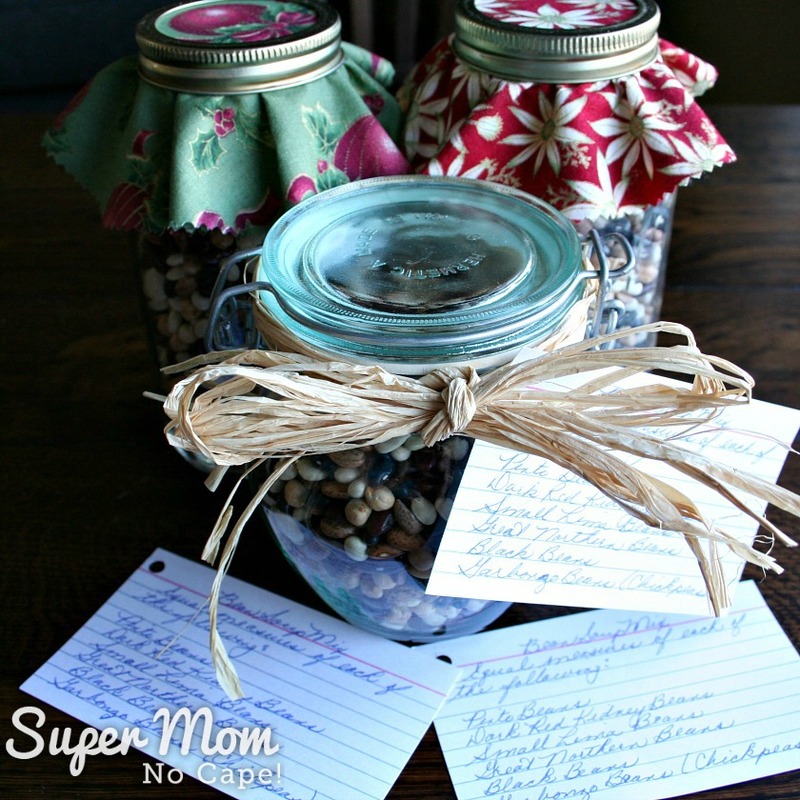 Now… let’s pretty up the other jars ready for gift giving! For the three mason quart jars, I took scraps of Christmas fabric, traced around a small plate on the wrong side of the fabric and then cut out the circle using a pinking shears. The fabric circle is placed between the lid and the metal ring before screwing it on to the jar. For these gifts, I simply tied some holiday ribbon around the top of the jars. And then for this one, instead of ribbon, I used several lengths of raffia wrapped around the top, added a recipe card then tied the raffia in a bow. 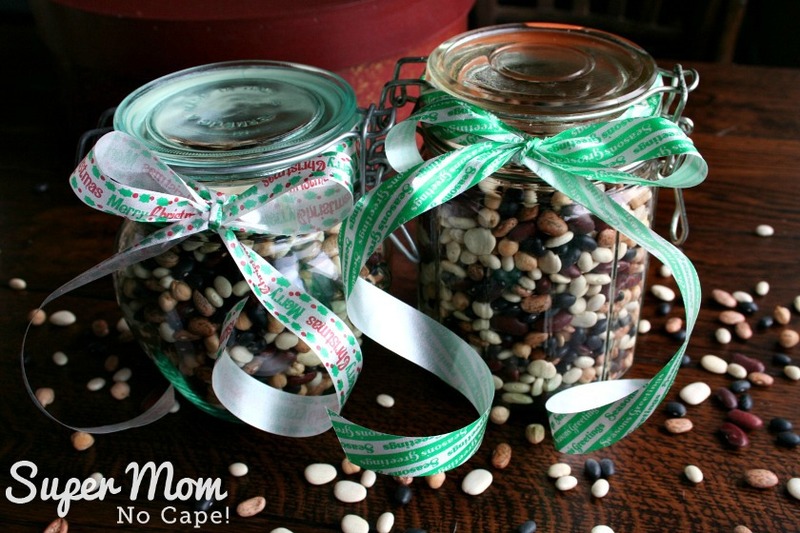 The bean soup in a jar mix could be the whole gift. 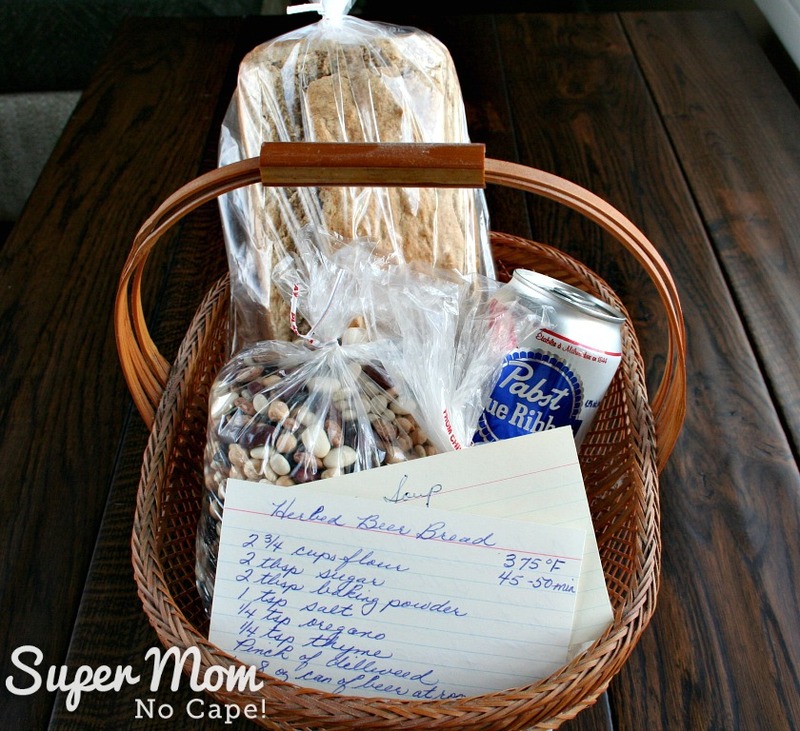 Or you could create the gift of a meal in a basket by putting the jar (or small bag of beans) in a basket along with an already baked loaf of Herbed Beer Bread, a bag of Herbed Beer Bread dry ingredients and a can of beer. A nice finishing touch is to add recipe cards for everything. 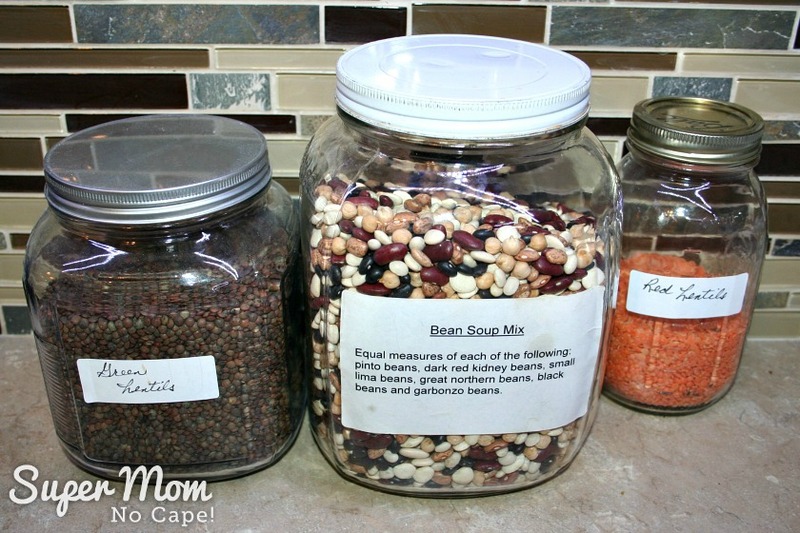 If you don’t already have a favorite Bean Soup recipe to write up a recipe card, you could give them my Delicious Stick to Your Ribs Homemade Bean Soup recipe. 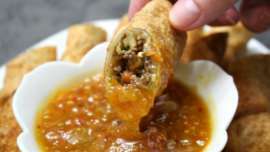 Save this recipe along with the different gift giving ideas for future reference by clicking on the Pinterest button underneath this post. 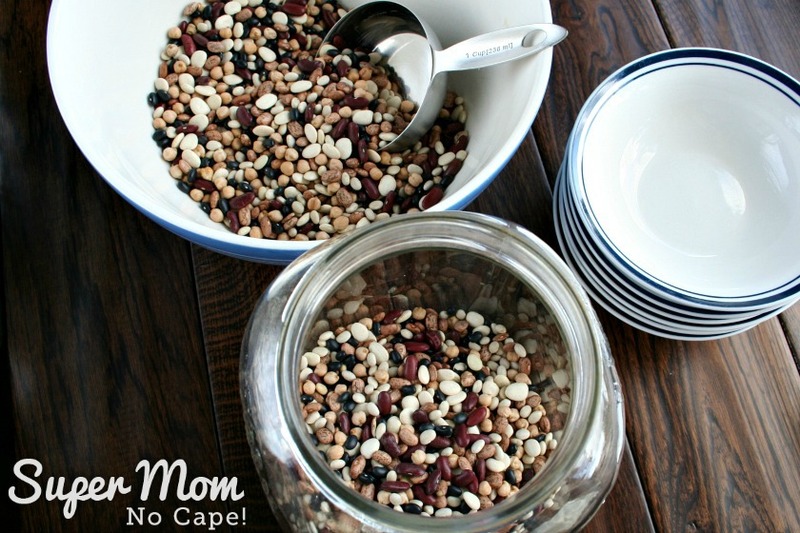 Note: This post was originally published on Super Mom – No Cape in November 2008. It has been completely updated with all new photos and text. I love this idea. The jars look so pretty. I think I’ll make a few of these to put in the “Lazy Sunday In A Box” homemade gifts I like to make every year. Thanks! This is a GREAT idea!!! Thanks for sharing. 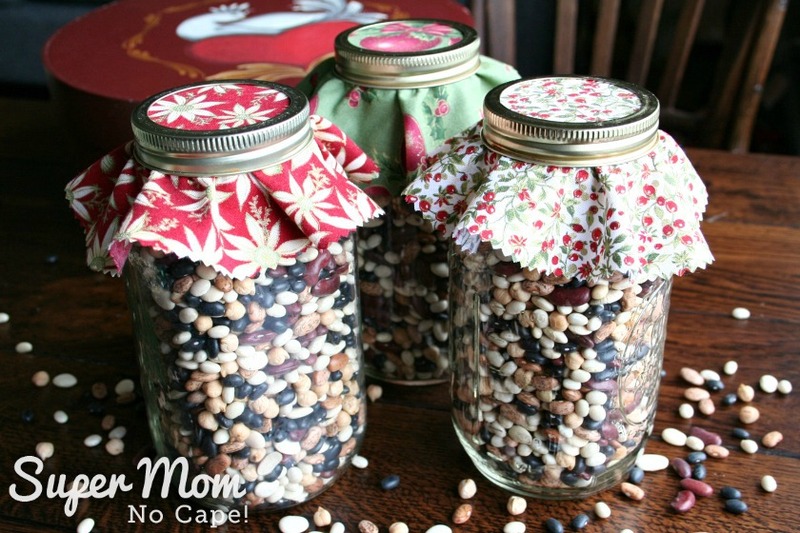 I can’t read what you printed to put on the jars… Can you share the recipe? Teacher gifts weren’t a thing when I was at school, but as it has become more common, I must admit that I, too, have wondered what on earth they are expected to do with them! Consumable gifts seem an altogether better idea! Past the days of teacher gifts here, but there are always little gifts that we need to make up and this would be a perfect idea for those. Thanks! I’m confused, where is the recipe? I have looked over this article 3 times and only see a recipe for the beer bread? ?